Well it's been another rollercoster of a week, Amelia was admitted to QEQM Rainbow Ward on Wednesday evening when her temperature spiked +38oC, que three days in hospital. The resulting factor was that her temperature stablised after anti-biotics and blood cultures came back clear on Saturday morning, this was probably an ear infection where you and I can shake of in a 24 hour period. The hardest part of this was all Amelia wanted to do was play in the garden at home or do what she should be doing in the summer holidays. Amelia's blood levels are showing good signs of increase and neutophils are rising nicely, so we are looking like Royal Marsden on Tuesday for next phase of consolidation which includes Cyclophosphamide which caused Amelia to be sick last time, so we have kicked off the anti-sickness in readiness this time. This will be confirmed Monday afternoon, so fingers crossed. 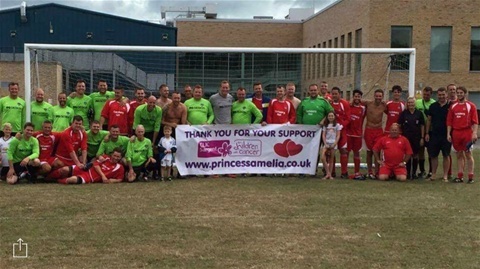 And what a great Sunday we had, Amelia woke up full of brightness and was looking forward to the charity football game Red Arrow v Red Arrow Legends, this was kindly setup by Elliot, Richard and Graham but was executed by 30 ish players - thank you so much to all of you. You managed to raise £450 approx for CLIC Sargent. 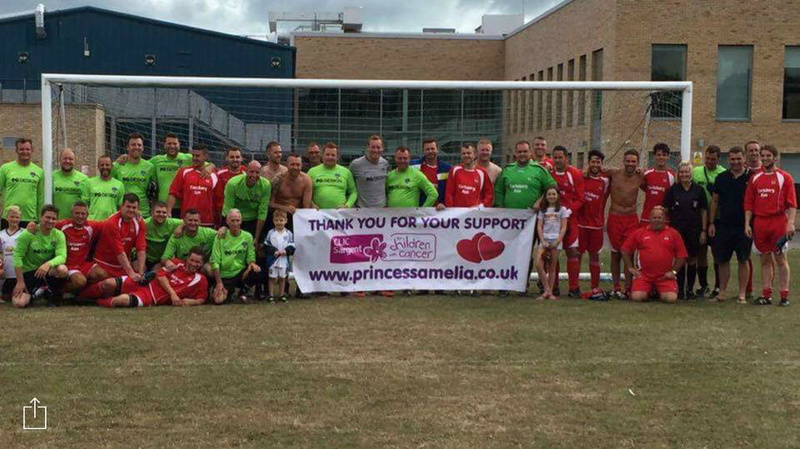 The game finished 0-0 and the legends went on to win on penalties. It was a great game played in the right spirit and a lot of banter! Thank you to all involved in all the charity events so far, you truly are amazing.